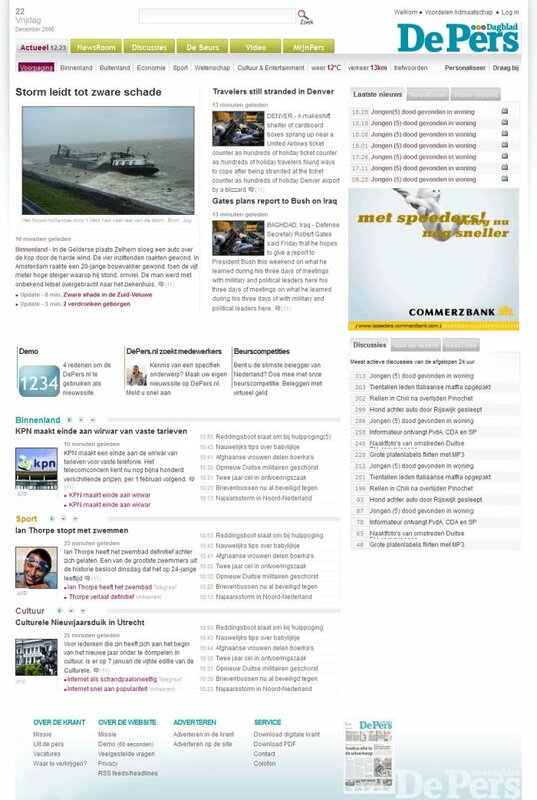 AlexxDesign had the honour to develop the first proper Dutch news website. As the Internet at that time had little in the way of readable/usable news websites, Alex saw this opportunity as an extraordinary challenge. ■ Visitors had to be encouraged to participate (i.e. 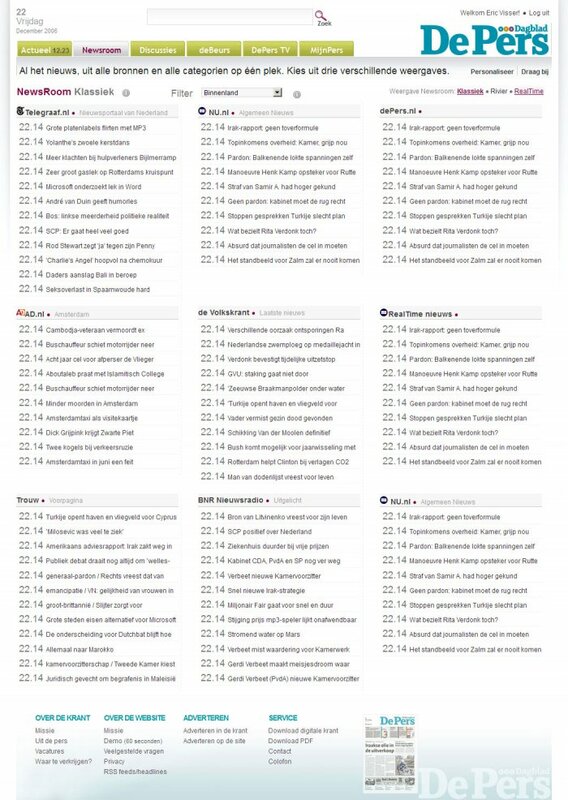 to give their own opinion within threads, add their own news (User generated content). 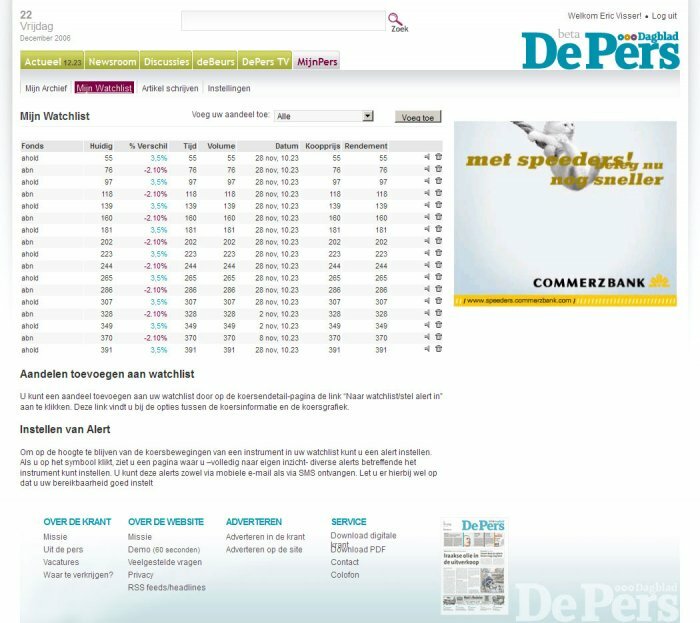 The eventual website was awarded the 'Best News Website of 2007', and it has succeeded almost unchanged, from creation till 2011, when the global crisis drained the company's resources. RIP DePers! 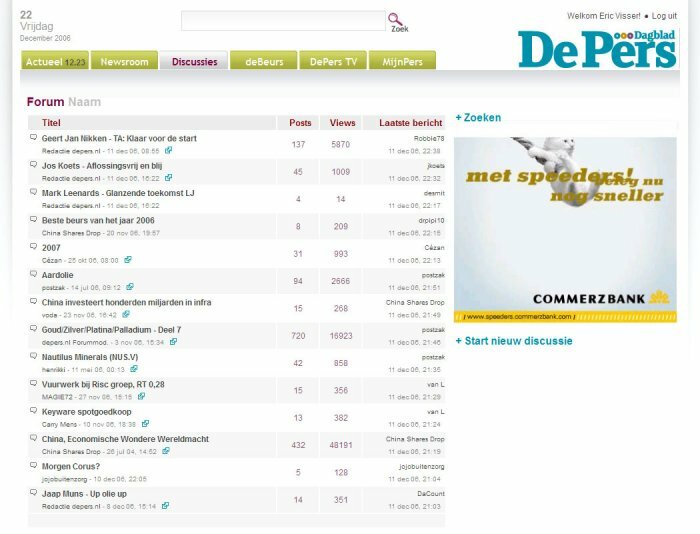 Now, the website lives a second life as "Ondernemer". 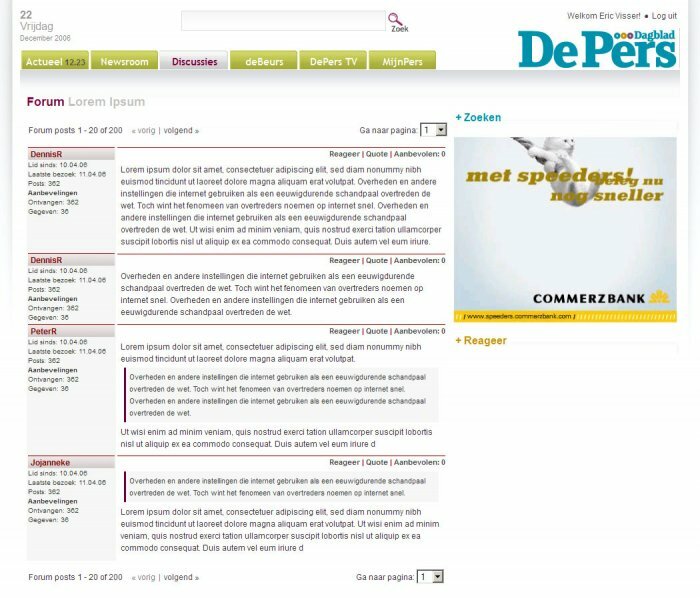 The websites DeBeurs & DePers were developed together in 2006/2007 for the same client, and so shared similarities in 'look' – though each ultimately served totally different web customers.